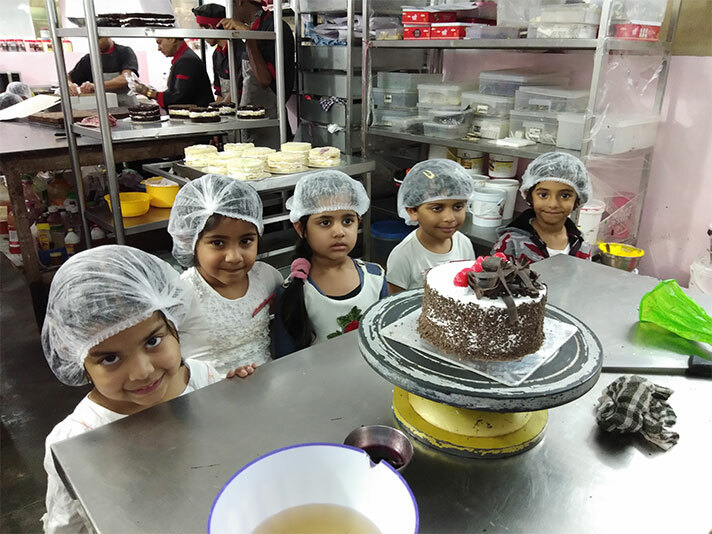 Juniors had a field trip to Cake Carnival on 12 January 2018. 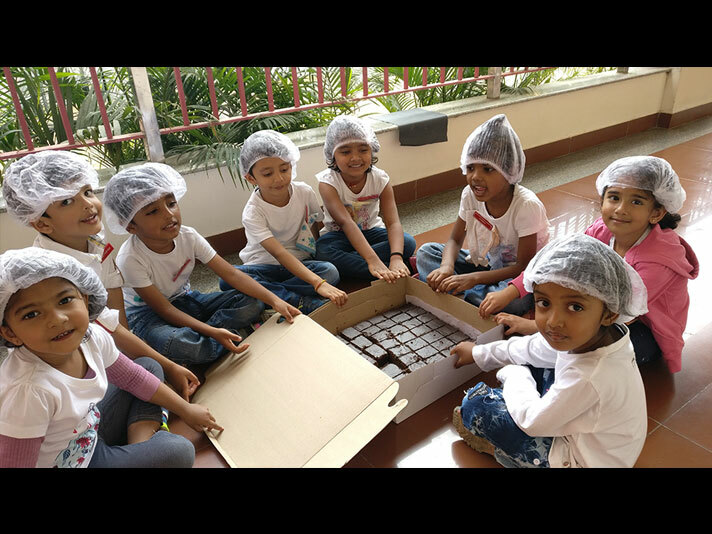 It was a visual treat for the children to witness making of various cookies like chocolate chip cookies, jam cookies sugar and gems cookies. A live demo was given on decoration of simple sponge cake to Black forest cake. 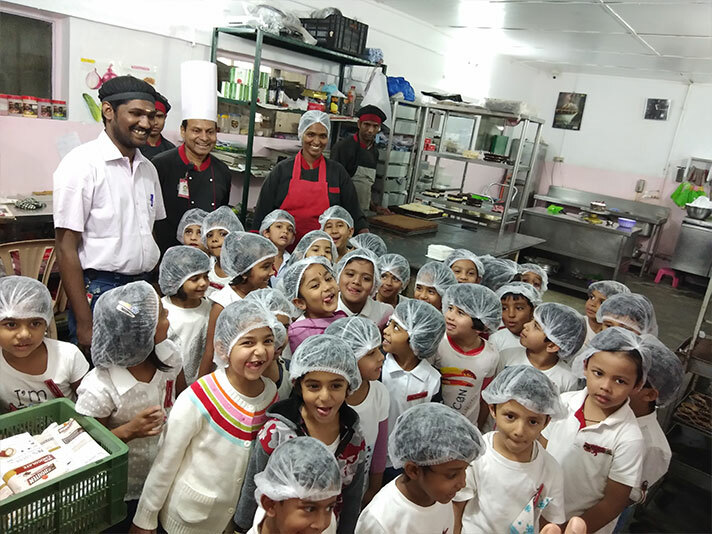 Students were also introduced to the various tools used for baking and icing. The trip was complete with a take away brownie.